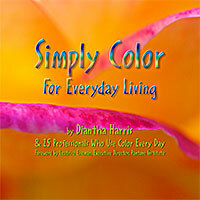 Diantha’s color card deck puts the power of color into your hands. Shuffle the 29-card deck and select a card, or use a layout (instructions included) for even greater insight. 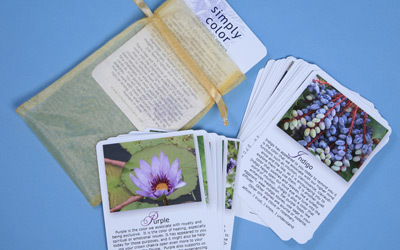 Every card offers a daily affirmation and suggestions for tapping into the power of color using oils, gems, and foods. 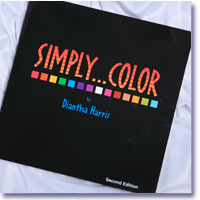 The Simply Color Card Deck can be used alone or in conjunction with the Simply Color Sprays and Diantha’s book Simply…Color, now in its second edition.